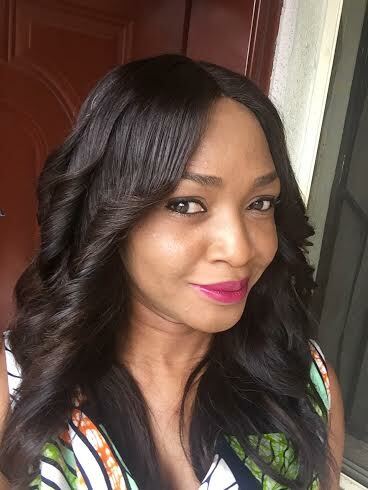 Except you have, I don’t know, been living under a rock for the past few months you would have seen the beautiful engagement ring that popular on- air personality Tolu Oniru (Toolz) got given by her fiancé. The absolutely stunning Ascher cut diamond ring set in 8.32 grams of Platinum and surrounded by 124 round white diamonds on all sides glistened and shone in every photo and video posted on Instagram and on the gossip blogs. It is fair to say that it broke the internet. When I found out that it was made by a Nigerian jeweller I was even more impressed by the sheer level or craftsmanship and detail which went into the piece and had to reach out to Ronke of Rebecca Noff Fine Jewelry, who turned out to be as lovely, professional and warm as can be, to get an insight into how her brand came to be. 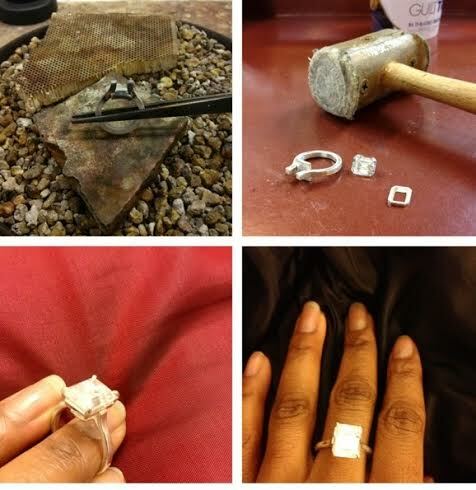 Hi Ronke, how did you start on your fine jewelry journey? 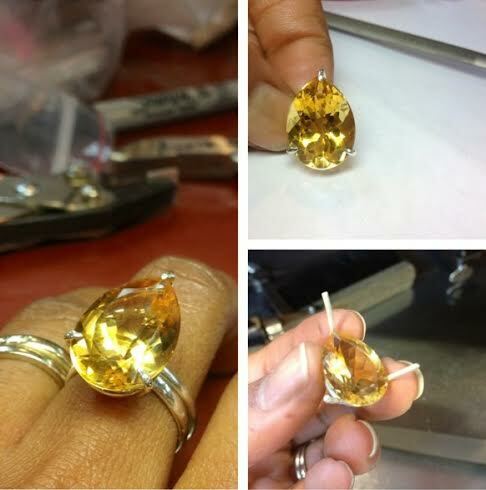 I trained as a Bench Jeweler (Goldsmith) at the International School of Jewelry & Design in New York where I earned a diploma as a Graduate Jeweler with 480 hours at the bench (unfortunately the school closed), I also earned a Certificate in Stone Setting at the American School of Jewelry in Florida and I’m completing my Graduate Diamonds Diploma at the Gemological Institute of America (GIA), World’s foremost authority on diamonds. 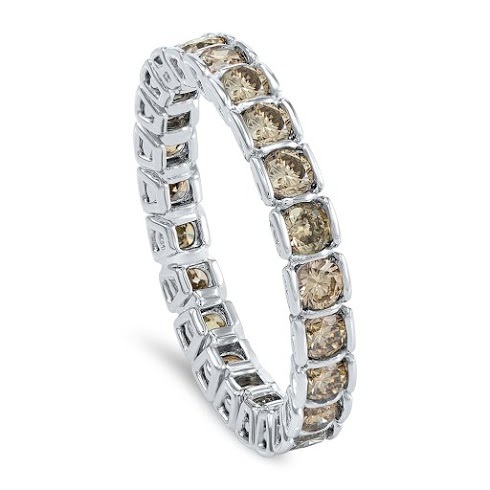 What would you say your jewelry design style is? Oh wow, I didn’t know that, I guess you do learn something new everyday! You work both in Hong Kong and in Lagos, how do both cities influence your design style? ​I’m blessed with an eye that sees beauty in the most awkward places. Hong Kong has interesting history that’s evident in it’s architecture. Nigeria’s culture is super rich and colourful so inspiration is everywhere, in nature, in a pattern on Aso-oke or Ankara. 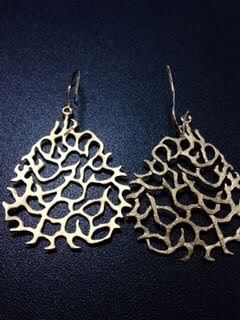 What kind of feeling do you hope a client gets when they wear one of your pieces? Elegant and Confident knowing they are a proud owner of something really precious​. How can interested Zinny’s Box readers contact you for orders? 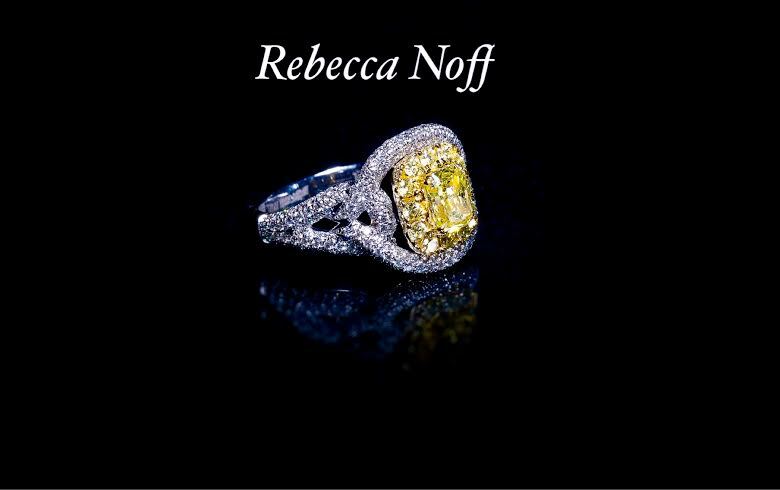 For more information on Rebecca Noff Fine Jewelry and other Artisans follow zinnysbox on Instagram and visit this blog for upcoming interviews.